If you are looking for a lodge or log cabin for a holiday in Spain we can help. We have 16 quality lodges, log cabins and chalets in Spain. Just a few of the superb lodges available to book are shown here. You can refine your search using the menu on the left. 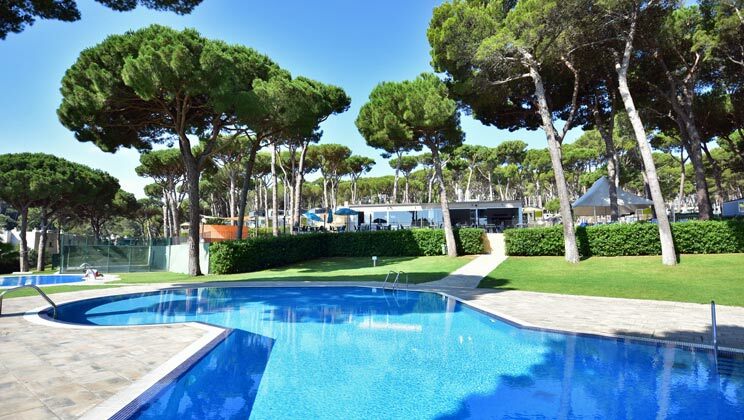 Interpals Campsite enjoys pine woods, coast and countryside. Pals is perfectly placed on the Costa Brava. You will find the parc beautifully landscaped, peaceful and adventure playground for younger children and plenty to do. The parc is close to the beautiful medieval town of Pals. 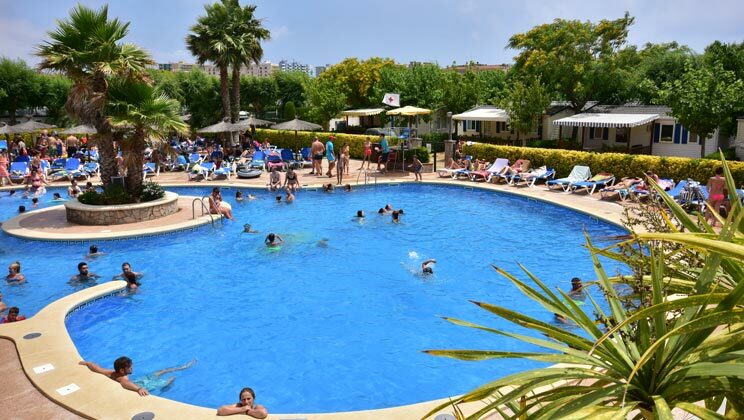 Palm-fringed pools and excellent facilities make Cambrils Park one of our best-sellers, year after year. Cambrils Park is very attractive, with the pool complex very much a centrepiece. Cala Canyellas is a hillside parc that's only a couple of hunderd metres from a delightful sandy cove. Cala Canyellas has terraced pitches overlooking a good sized pool (with separate child-friendly section) and a well-stocked supermarket and bakery for those leisurely evening meals at your place. 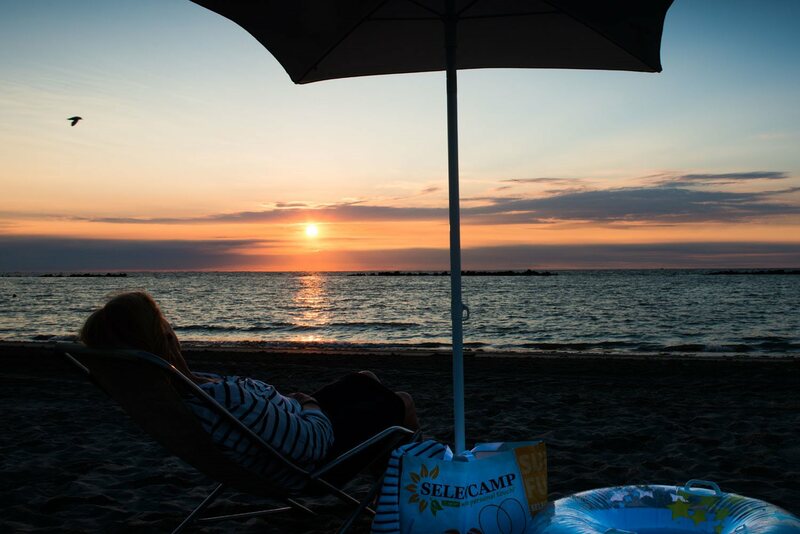 Camping Cabello enjoys direct access to a wonderful sandy beach, from the beach-front section of the campsite. Watersports or sunbeds - the choice is yours. This large and lively site is packed with 5-star facilities to keep the family occupied all holiday long. 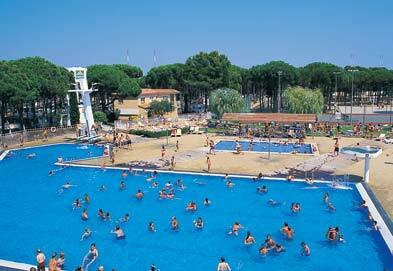 Like its popular sister-site Sanguli, Camping Cambrils Park is a lively, all-action campsite enjoying a great location. 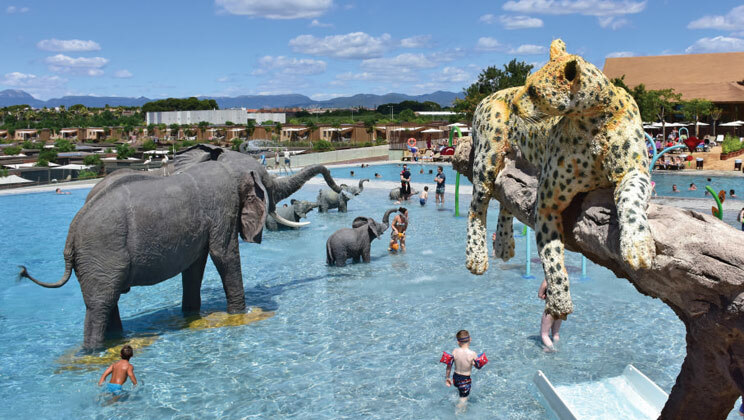 The main focus is the pools, the elephants and dragon waterchute a sure hit with the kiddies. A large, modern parc set attractively in front of Emporda bay and the picturesque Medas islands. Famous for its swimming pool said to be one of the largest freshwater pools on the Costa Brava, the parc's animation team enjoy tempting you from your deckchair for sports and games by day and dancing by night. Stay in total comfort in the new Rossini Riviera Suite mobile home. 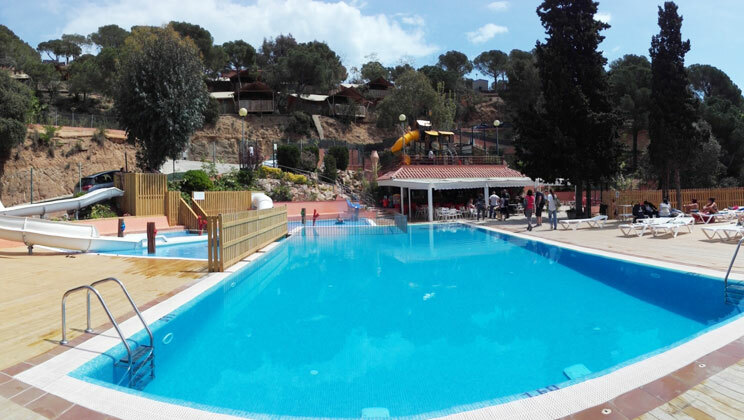 Action packed days start and end with the excellent swimming pools, either splashing down the slides in the dedicated fun pool or taking in the views from the elevated 'Panorama' pool, the focal point of Castell Montgri campsite. In the evening the scene shifts as the entertainment gets going with family discos, open air cinema and cabaret shows which run all season. 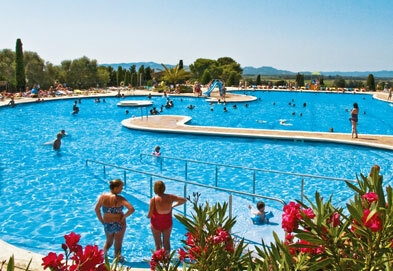 Cambrils Park is an immaculately presented campsite, ideal for a fun-filled family holiday. The roads are lined with palm trees and pampas grass, and emplacements are located near to the first class facilities, of which the lagoon style pool complex is undoubtedly the focal point. 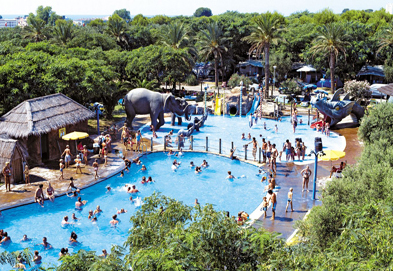 Vilanova Park is a large and lively campsite offering plenty of activities for the whole family. There's sports, an indoor spa, a children's club and live shows to name but a few, as well as a bar and restaurant. And yet with vibrant Sitges, PortAventura themepark and even Barcelona only a short trip by public transport, there's plenty off-parc too, to keep everyone amused. Al Fresco welcomes Cypsela back into its program after its new owners have added a fun waterslide to its impressive pool complex. And the enjoyment doesn't end there with tennis, bowling, football and volleyball plus a gym and games room to keep everyone active. The handy shuttle bus whisks you to and from the playa in just a few minutes and after fun-filled days in the sun, the narrow streets of medieval Pals, with many a notable bodega, are a draw for a vibrant evening out. With direct access to a sandy beach at the foot of a chateau, Tamarit Park campsite is an oasis of palm trees and pines. 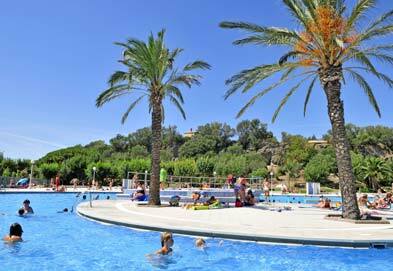 It boasts a tropical swimming pool and wellness centre* and in easy reach of Tarragona and Barcelona for sightseeing. 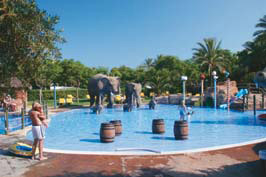 Camping Riu is a beutiful family-friendly holiday parc with plenty of culture on the doorstep. Stroll from your home to town for an early evening drink, a meal, or just to take in the air.